Add a unique flare to your bathroom with this wall-mount vessel faucet. Designed to complement vessel sinks, it can also be paired with traditional sinks. The wall-mount design allows a long spout provides ample space for washing. This piece from Kingston Brass brings a modern look to many kinds of bathroom styles. Redo the look of your bathroom with this beautiful dual-control faucet. Its deck mounted design can be set up with ease on your counter top. Save water and get the same clean with this WaterSense certified faucet. Cross 2-Handle Vessel Wall Mount Bathroom Faucet in Satin Nickel Add a unique flare to your bathroom with this wall-mount vessel faucet. Designed to complement vessel sinks, it can also be paired with traditional sinks. The wall-mount design allows a long spout provides ample space for washing. 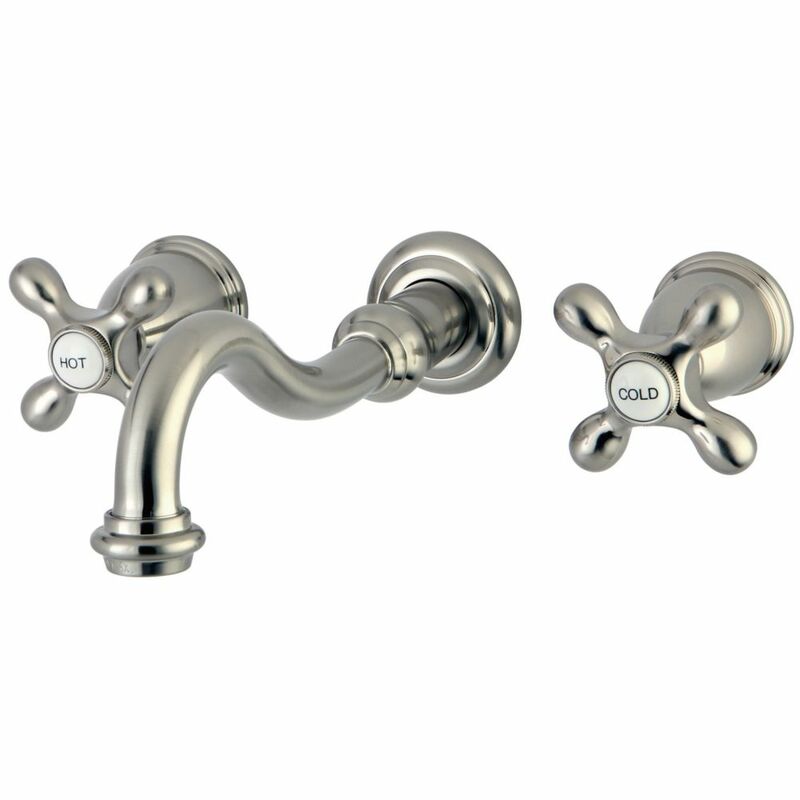 Cross 2-Handle Vessel Wall Mount Bathroom Faucet in Satin Nickel is rated 5.0 out of 5 by 2. Rated 5 out of 5 by Bandmo from This is a wonderful faucet. The only thing I think... This is a wonderful faucet. The only thing I think they could improve on is that the knobs could use a washer of some type. The knobs move a little back and forth and give a small rattle noise. The knobs only turn a quart turn, which is nice. Rated 5 out of 5 by 5452 from Love it and want another! Hope you will have more... Love it and want another! Hope you will have more in stock soon.